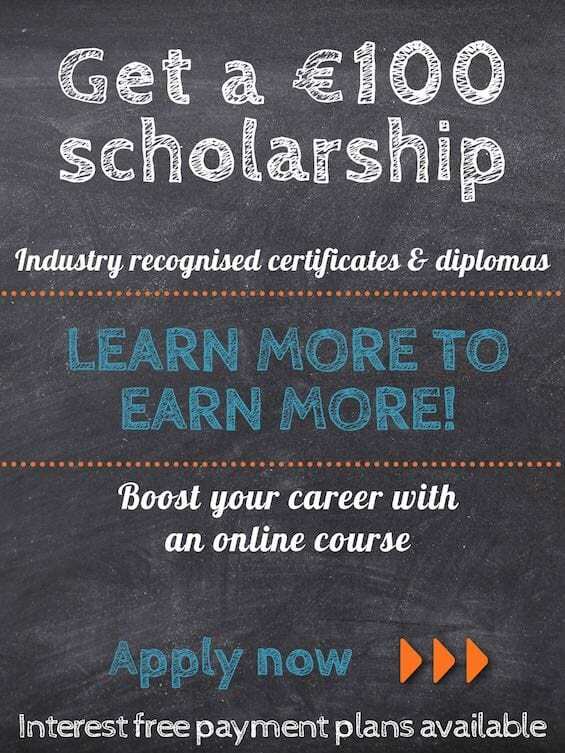 Scholarship, get €100 off your course | January only | Apply now! Apply for your New Year Scholarship today! The Career Academy’s specialist courses will help you get a new job or promotion. Our industry recognised courses are designed by experts and offer unlimited tutor support. T&C’s – Valid for courses over €395 and not in conjunction with any other offer. Whether you are looking for a new job, wanting a promotion or changing careers, our tutors are committed to guiding your success. Get qualified and earn more with help from The Career Academy.